When you are looking for a veterinary care clinic you should be able to count on superior care and excellent service. 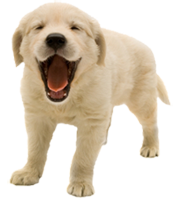 We at Palms West Veterinary Hospital in Loxahatchee FL have assembled an expert team of veterinary professionals to bring you the best possible healthcare for your pet. Our facility provides a comfortable environment. Call 561-798-2780 to schedule an appointment and we will find a time that is convenient for you. In addition to our general practice we offer 24 hour urgent care. Once a year, you should take your pet in for a check-up. This will include a full physical exam, heartworm testing and vaccines. Our doctors will check the health of your pet from head to tail, and you will be very happy you came to Palms West Veterinary Hospital for service. In some circumstances, our doctors will refer you to a specialist who has advanced expertise in areas such as internal medicine or surgery. Because of our ability to accept appointments and walk-in's, there are times when our appointments are delayed due to walk-in emergencies. We will do the best we can to see your pet at your scheduled time, however; please be aware delays do occur and we will do the best we can.